Fourth Estate, 1999, Hardback in Dust Wrapper. From the cover: “Galileo Galilei (1564-1642) was the foremost scientist of his day, the man Albert Einstein was to call ‘the father of modern physics — indeed of modern science altogether’. Though he never left the Italy of his birth, his inventions and discoveries were heralded around the world. His telescopes allowed him to reveal a new reality in the heavens and to publicly propound the astounding argument that the Earth actually moves around the Sun. For this belief he was brought before the Holy Office of the Inquisition, tried for heresy and threatened with torture. In contrast, his daughter, Virginia, became a cloistered nun. Born in 1600, she was thirteen when Galileo placed her in a convent near him in Florence, where she took the most appropriate name of Suor Maria Celeste. 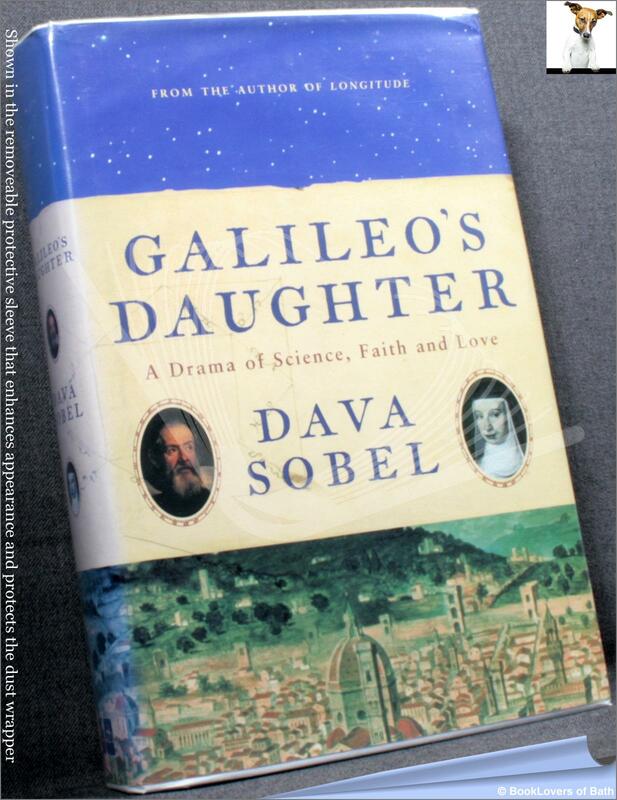 Galileo later said of her that she had an exquisite mind, and her intelligence and loving support proved to be her father’s greatest source of strength through his most difficult years. Size: 9½" x 6¼". 429 pages.